CHARM CITY MEAD APPLE CINNAMON – (WINTER SEASONAL) This expression of our signature honey wine boasts apples, smooth honey, and warmth, while remaining balanced, drinkable, and refreshing. 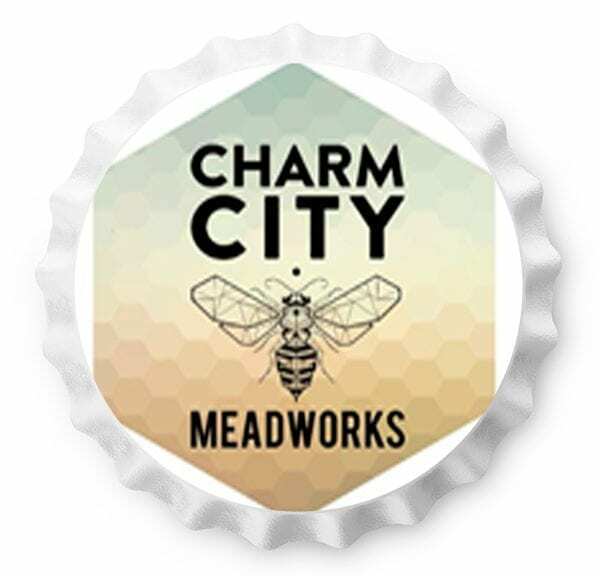 CHARM CITY MEAD RETIRE BY THE FIRE – (WINTER SEASONAL) Refreshing mead that features vanilla, cocoa nibs, and clove. It’s sure to keep you warm all winter long. CHARM CITY MEAD CHECKER SPOT COLLABORATION – Collaboration meads aged in a fresh dumped Catoctin Rye barrel. We’ll have both a sour cherry sour mead, and a rye aged Elderberry with fresh elderberries from Checkerspot Steve’s own garden.